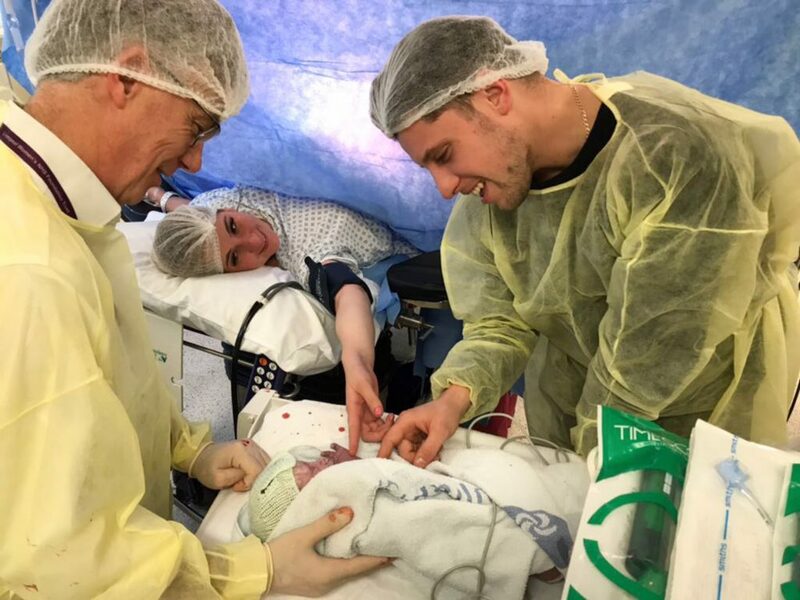 A brave baby who was born with a back-to-front heart has defied the odds to celebrate her first birthday after having heart surgery at just a few HOURS old. 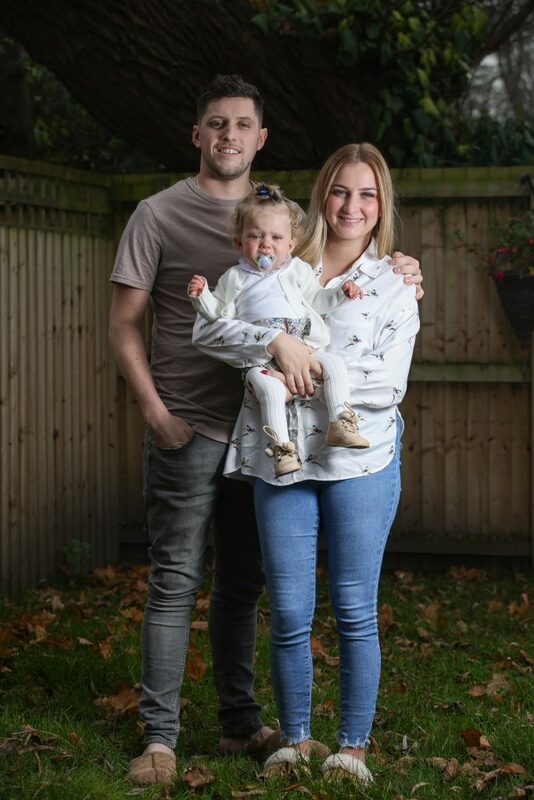 Alba Butler was born with a rare condition that meant her heart’s main blood vessels were swapped over – and oxygen was being pumped straight back to her lungs instead of around her body. As soon as Alba was born – already blue from the lack of oxygen – she was put in an ambulance and rushed to surgery to create a hole in her heart to help oxygen-rich blood reach the baby girl’s body. Then eight days later, distraught first-time parents Alejandra Garcia, 26, and Danny Butler, 30, had to watch as their tiny tot was wheeled in for nine-hour open heart surgery to reverse her condition. Despite doctors’ warnings that Alba might not make it, the ‘little warrior’ has battled through everything to enjoy her first birthday party last week. And mum Alejandra, who works in marketing, said she and her fiance Danny, a joiner, couldn’t be more proud of their daughter. Alejandra, of Thornton, Lancashire, said: “Alba is thriving. We were told she might be a bit delayed with her development but she’s reaching all her milestones. She really is incredible. “She absolutely loves food and she’s a really good sleeper. She’s just about to start walking and her favourite word to say is ‘hiya’. She is just amazing. “She had her flu jab the other day and most babies would scream and cry but she just looked at the nurse like ‘I’ve been through more than this’. “When we got Alba’s diagnosis, we prepared ourselves for the worst but she has exceeded all our expectations. She’s a little warrior. It sounds cheesy but she’s my hero. We’re so proud. Despite being on the IVF waiting list, after Alejandra was told she would never conceive naturally, Danny and his fiancee were delighted to discover they were 10 weeks pregnant in May 2017. But at their 20-week scan, their joy was shattered when the parents-to-be were told their baby girl had transposition of the great arteries (TGA). 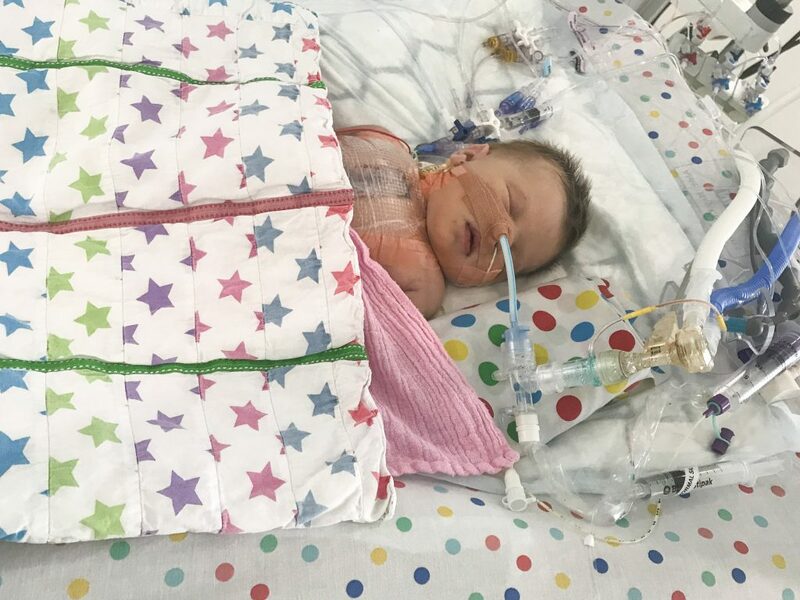 The condition meant that Alba’s pulmonary artery was where her aorta should be, carrying oxygenated blood from the left ventricle to her lungs, and her aorta was where her pulmonary artery should be, carrying deoxygenated blood around her body. Some babies with TGA also have a hole in their heart, called a ventricular septal defect (VSD), which allows the oxygenated and deoxygenated blood to mix. But ultrasounds carried out every few weeks throughout Alejandra’s pregnancy showed Alba didn’t have a VSD so no oxygen would get to her body when she was born. 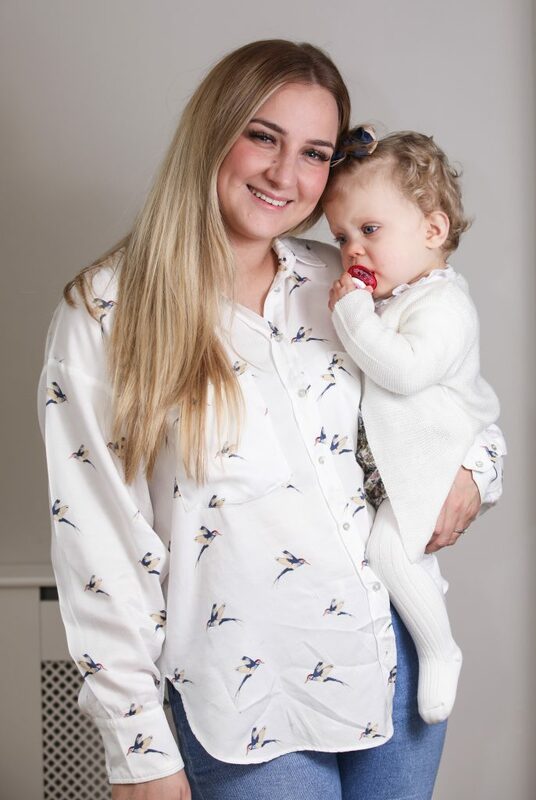 Alba was born via a planned cesarean at Liverpool Women’s Hospital on November 15 2017 and rushed in an ambulance to Alder Hey Children’s Hospital where the poorly tot underwent Balloon Septostomy surgery to allow her blood to mix. Alejandra said: “We found out about Alba’s heart at her 20-week scan. We were so upset, I couldn’t stop crying. “Neither of us had heard of TGA before which made it all so scary. My first thoughts were ‘we’re going to have to terminate’. “After being told I would never conceive and then finding out I was pregnant with Alba, I knew it all felt too good to be true. “But the doctors quickly explained that Alba would need surgery as soon as she was born. Heart defects are so difficult to pick up on ultrasounds so it really is amazing that they found it. “When they told us she would need to be to transferred and taken to theatre right away, they had to warn us that some babies don’t make it. “I couldn’t believe it. I couldn’t stop crying. They told us she only had a 50 per cent chance of survival. “When she was born, Alba was already quite blue from the lack of oxygen. She was so poorly she had to be taken straight to the ambulance waiting to transfer her for her first surgery. “We had a planned c-section and they wouldn’t deliver her until they got the call from the surgeon to say they were ready. “I didn’t get to hold her, I just got to touch her finger as she was taken away. “When Alba came out of her first surgery, all I wanted was to hold her in my arms but I couldn’t leave the hospital because I’d had major surgery. The parents’ relief after Alba’s first successful surgery was short-lived as they then had to watch their newborn go for open heart surgery. Alejandra said: “When she was eight days old, Alba had open heart surgery. When the nurses came to give me her gown to get her ready I just burst into tears. “No gown should be made for a baby. Just looking at this tiny, tiny gown, I felt like I couldn’t put her in it. “Then I remember walking down this really long corridor with loads of doors to theatre and I could barely even see I was crying so much. “I couldn’t believe I was handing my baby over to strangers and I might never see her or hold her again. It was so surreal. “She was in surgery for just under nine hours. When she came out they called Danny and he barged into the breastfeeding room where I was expressing milk. “I just left the milk behind, I didn’t care, and started running down the corridor. “As soon as I could see her and see she was okay and breathing, I just can’t even describe that feeling – it was a huge relief. I could replay that moment every day in my head. Alba’s incredible recovery hasn’t all been plain sailing as a month after her release from hospital in December 2017, the tot found herself back at Alder Hey with a fluid build up called chylothorax and then contracted pneumonia. But once again, with the help of the ‘amazing’ doctors and nurses at the hospital, Alba fought back and went home seven weeks later. Alejandra, who is walking the Inka trail next year to raise money for Alder Hey, said she could never fault the care they have given Alba. The mum of one said the hospital didn’t just save her baby’s life but hers too. Alejandra said: “I can’t stress enough how amazing Alder Hey – and all the hospitals – have been. “At Alder Hey they’re more like a family than a hospital. They even sent her a first birthday present which I cried my eyes out over. “They are all just fabulous. I’m doing the Inka trail next year and I’m not fit so it’s going to be a challenge but I don’t think there’s anything I could ever do to fully pay them back. FACT BOX: WHAT IS TRANSPOSITION OF THE GREAT ARTERIES? – Transposition means ‘in each other’s place’. – The pulmonary artery, which normally carries blue (deoxygenated) blood from the right ventricle to the lungs. – The aorta, which normally carries red (oxygenated) blood from the left ventricle to the body. – So Transposition of the Great Arteries means that the pulmonary artery is where the aorta should be, carrying red blood from the left ventricle to the lungs, and the aorta is where the pulmonary artery should be, carrying blue blood around the body. – There may also be a ventricular septal defect (VSD) – a hole in the wall between the ventricles. This means that blood can leak from one side to the other. – If your child has a VSD this will allow red blood to flow from the left ventricle into the aorta, and the symptoms will not be so severe. – There may be other associated conditions, such as coarctation of the aorta or pulmonary stenosis. – Treatments for TGA include medication, balloon septostomy surgery and open heart corrective surgery. – Cases of TGA can be more complicated than this description. In some cases the arterial switch operation cannot be performed, and other kinds of surgery can be offered.